I did a watercolour painting yesterday and today had a small amount of ink left in my pallet. So I decided to use up the ink with some leaf practice. 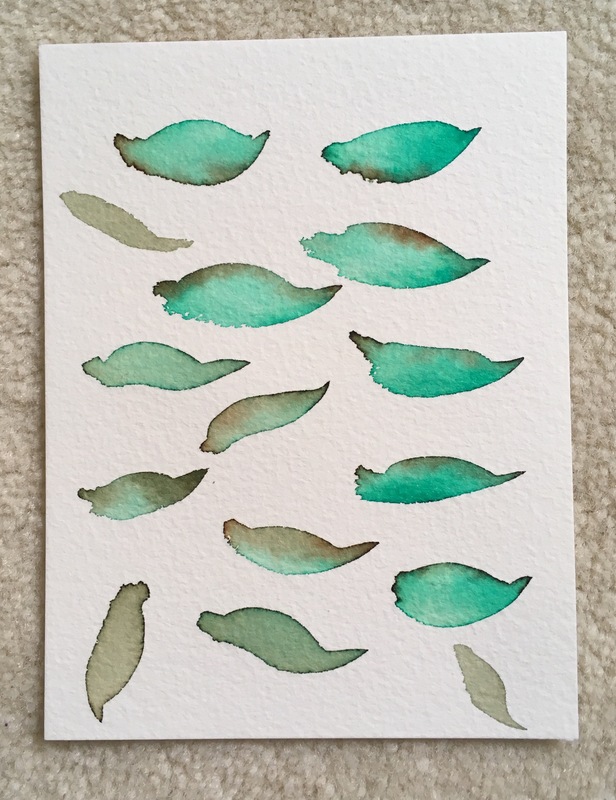 I loaded a size 10 pointed brush with water (good old tap water) and painted a leaf shape onto my paper. The paper I used for this piece is from Winsor & Newton. It’s cold pressed paper and has a slightly raised surface. 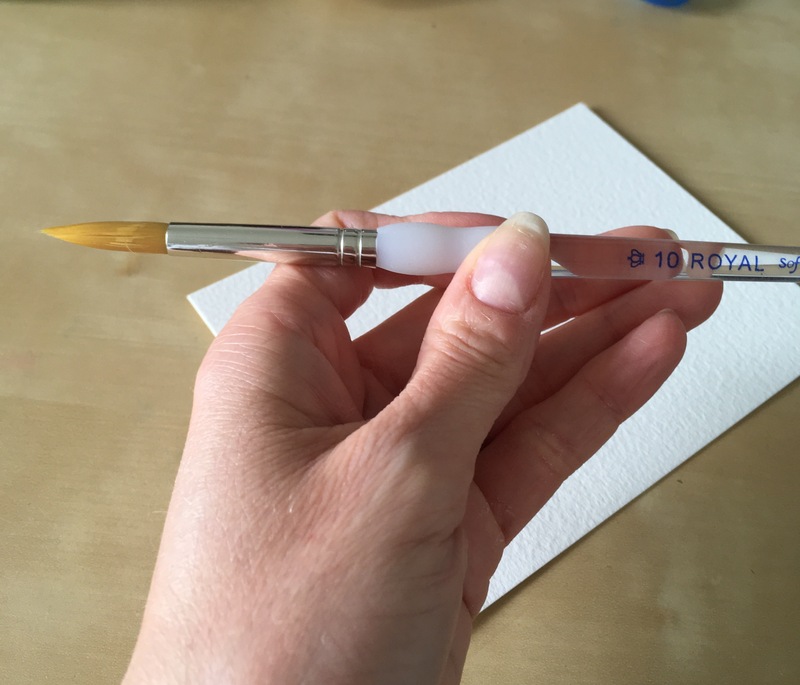 I find it really good for watercolour, it really absorbs the inks. This project will work on any paper though. 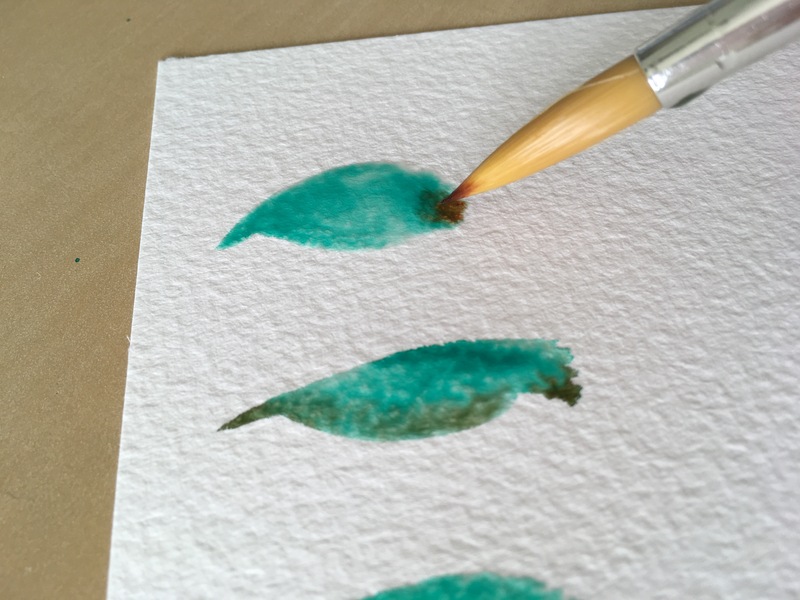 After painting the leaf shape I loaded my brush with green Ecoline Watercolour ink and gently touched the water outline with the brush. 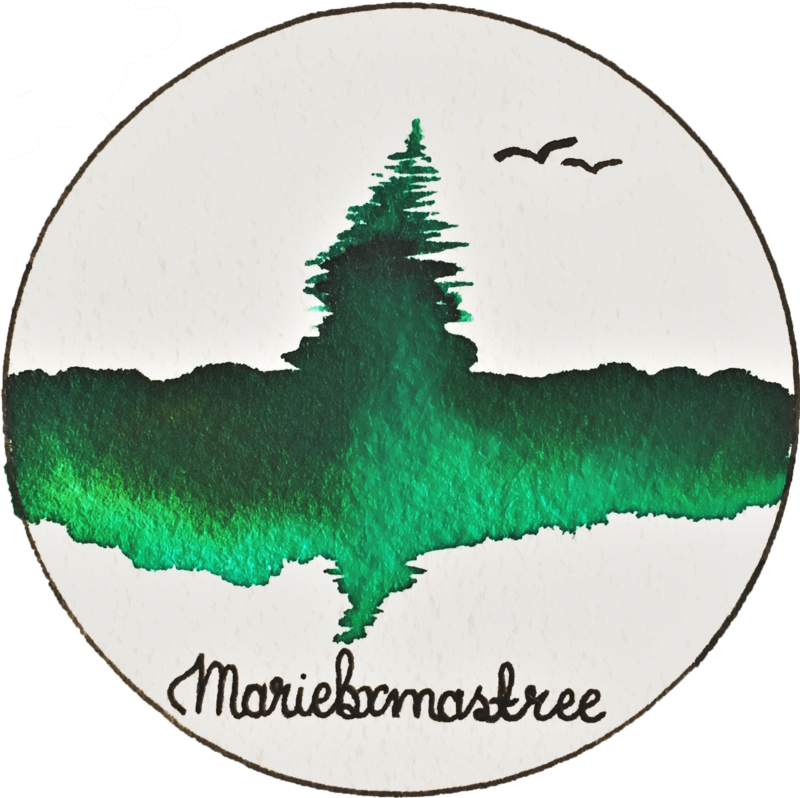 The ink spreads around the water and creates the leaf shape in green. Depending on the depth of colour you want to create you can add as little or as much ink as needed. 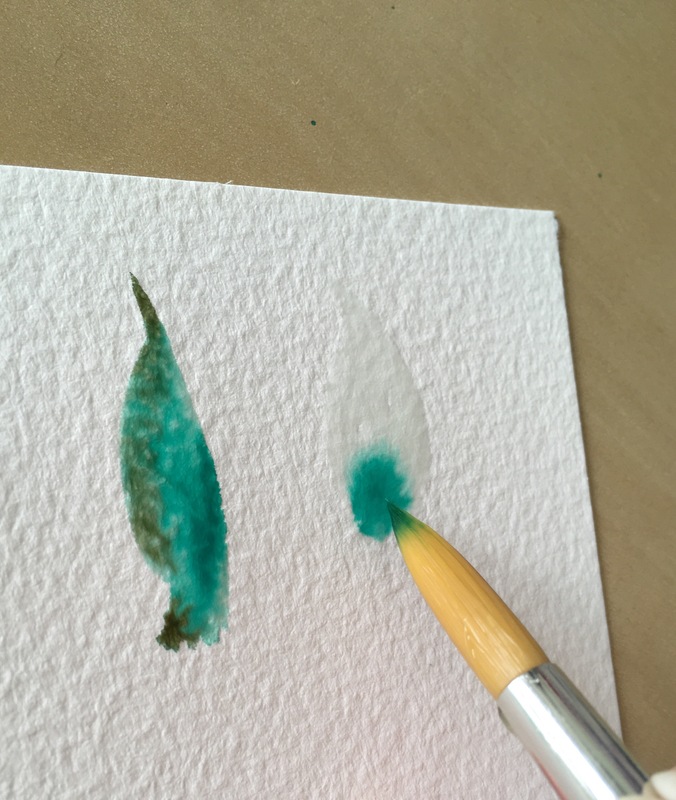 To add depth to the leaf I cleaned the brush in a little water and then added a little brown Ecoline ink and gently pressed the tip of the paintbrush at the bottom and top of the leaf allowing the colours to mix and disperse. I think the mix of colours added a little more to the leaf than plain green. You could add different greens or the same green in the same spot creating more colour depth in certain areas. As the inks were being mixed in the water base this is known as the ‘wet on wet’ technique. 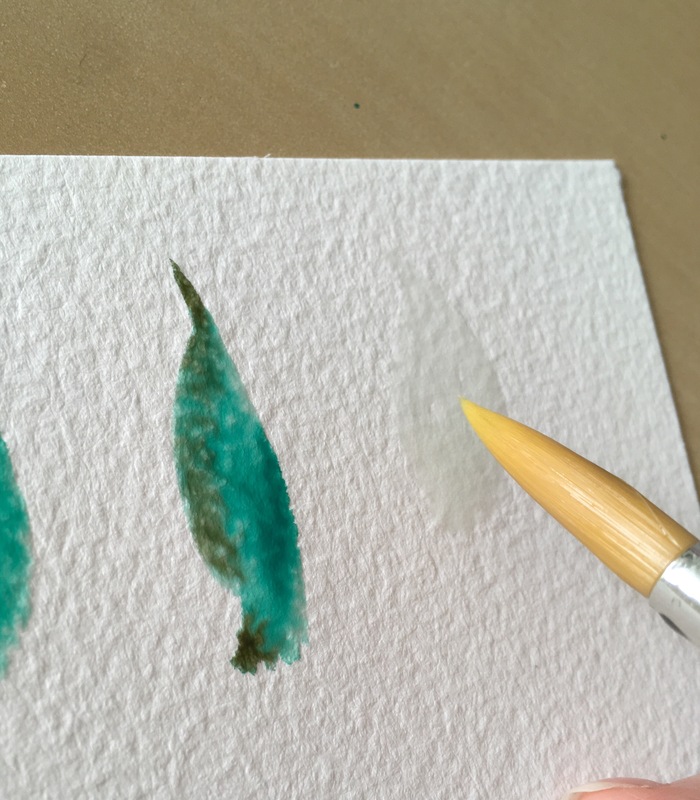 The brown ink being added after the green ink was dry is the ‘wet on dry’ technique. I’m not sure what I am going to do with the piece next, maybe letter a quote perhaps. Sometimes it’s quite nice just to play around with a project without a specific goal in mind. Some really good projects can be born this way 🙂. Let me know if you have been inspired to try leaves yourself. I hope you found this post useful. Next postSometimes a quote just fits! I’m not a big craft person, but I enjoy seeing people being creative 🙂 Good job!